A little while back, Mr C and I wanted a quick dinner in Surry Hills so we stopped by Sushi Suma on a busy Saturday night. I was hoping there wouldn’t be much people here because it’s situated in a relatively quiet area of Surry Hills. I was really surprised how busy it was inside the restaurant when it was only open for half an hour! Mr C and I were advised to wait about 30 minutes with only one family in front of the queue. During the wait, there were many more visitors grabbing a ticket and waiting outside. 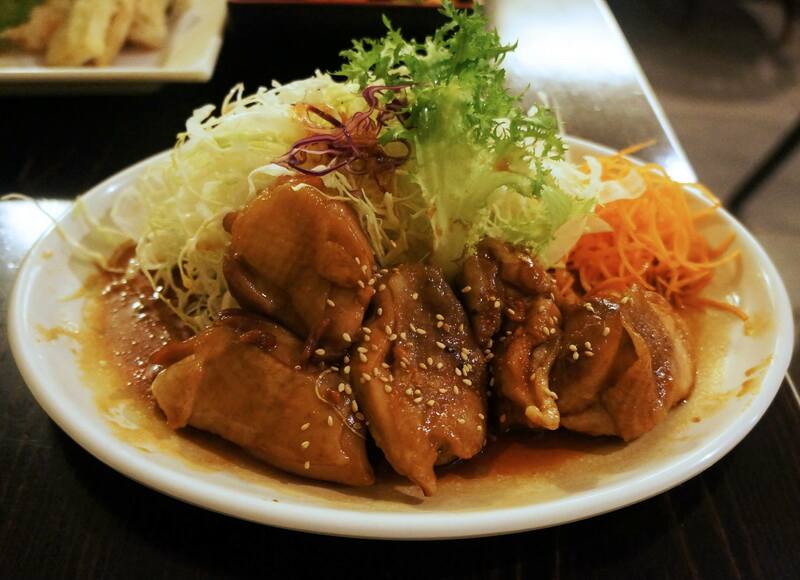 Since the menu made it clear that set meals were better value we decided to go with a set meal each, Mr C went with the Teriyaki Chicken (above) which was surprisingly tender but a little too smothered in teriyaki sauce which made it overpoweringly sweet. This was given as a complimentary starter after we ordered. 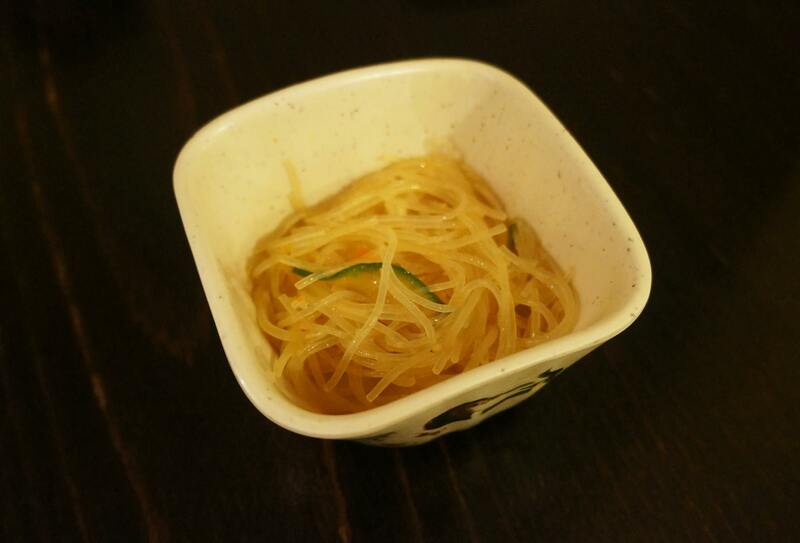 It’s a cold and tangy vermicilli dish which has a refreshing crisp taste, especially with the slices of vegetables mixed in. Who doesn’t love these little gems? Served hot and fresh from the kitchen, there’s a sweetness to the sauce which I really enjoy. 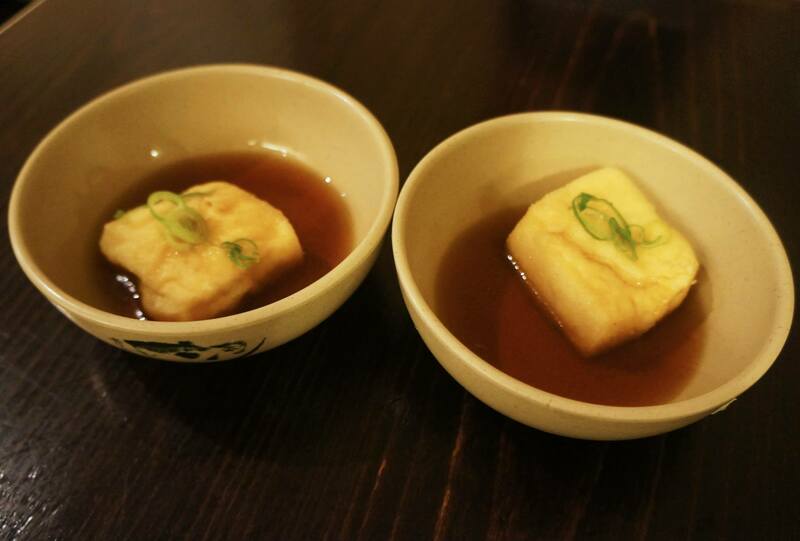 The agedashi tofu were quite different to other Japanese restaurants I have been to, the texture is very chewy and isn’t overpowered by the tofu skin as which isn’t fried to a crisp. I found myself drinking the sauce which I know is probably not very good for me. Mr C’s tempura set. The moment I saw it arrive I knew it was worth the order. 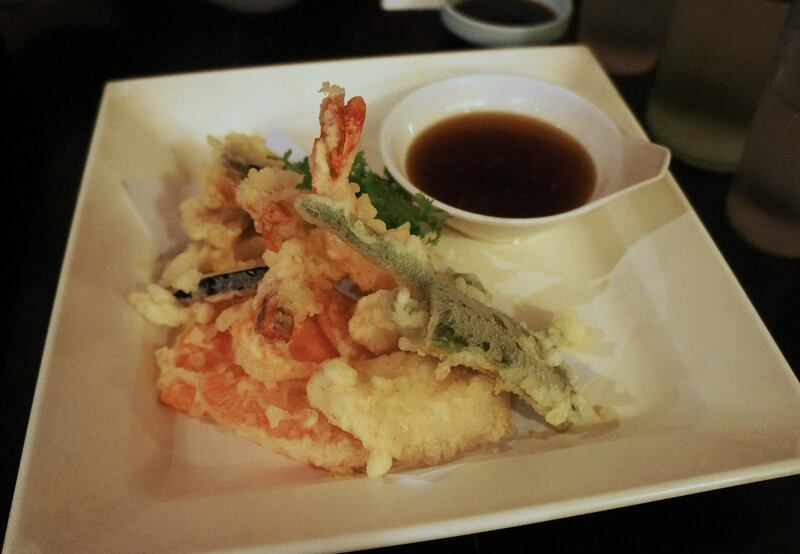 There were just so many various tempura pieces, from memory they were eggplant, sweet potato, beans, prawns and cucumber. I love that it was lightly fried and had very little oil, the pieces were thin so it doesn’t fill you up too quick. 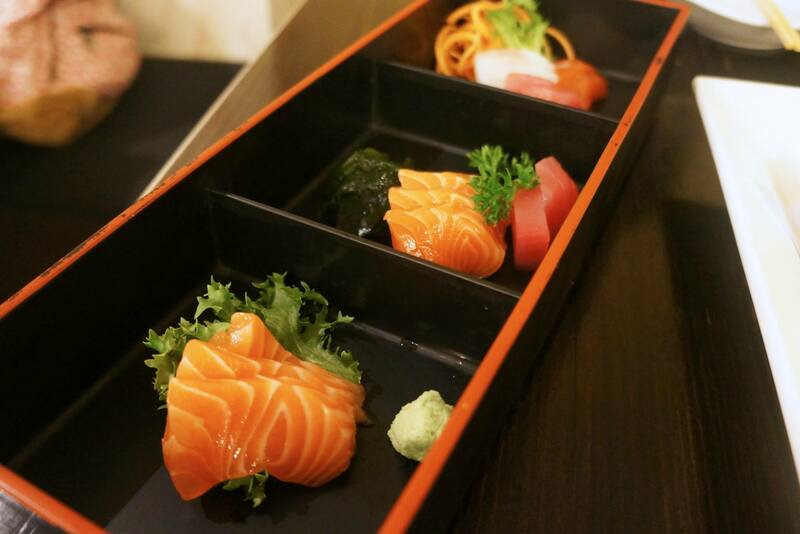 And of course, the sashimi set which came with the tempura. You cannot enter a Japanese restaurant without ordering sashimi (at least for me). I was a little upset with the sashimi slices size in comparison to tempura but I’m still happy. Although they weren’t icy cold which is how I prefer them, the fish was fresh and definitely not low grade. All in all the meal was decently priced at around $30 each which I thought was a good deal. love this place! haha was my favourite spot for Japanese food during uni! Haha I imagine heaps of UNSW kids visit – bit out of the way for me though!